OPC is a viable solution for building automation and is available today. By letting OPC handle the communication solution, integrators spend less time establishing communication infrastructures and can focus on their core competencies. Integrating OPC into a new or current system reduces initial and long-term capital expenditures, minimizes operational spending requirements and improves both short and long-term facility performance to help companies achieve operational excellence. 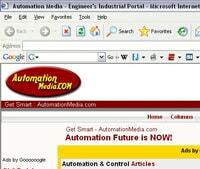 AutomationMedia.com is a website dedicated to provide popular Automation Technologies. A website devoted to useful news, articles, reviews, QA forum and knowledgebase about Automation and Controls Engineering with an emphasis on important new technology information and a lot of good information about OPC.